LONDON, England (CNN) -- She once sang, "Love is a losing game." Winehouse has been living in the Caribbean for the past six months. Those sad words rang true Thursday when a London judge granted singer Amy Winehouse and her husband a divorce. The judge at the High Court in London granted a "decree nisi," which means that the decree is not absolute. However, a divorce will be granted unless any cause to the contrary is shown within six weeks, Winehouse spokesman Chris Goodman told CNN. At the end of that period, the judge will grant a "decree absolute," a final certificate to dissolve the marriage. That step is expected August 28, Goodman said. It was Winehouse's husband, Blake Fielder-Civil, who filed for divorce, Goodman said. It was not clear on what grounds he sought the split, although news reports citing his attorney, Henri Brandman, said "Amy's adultery" was the reason. Brandman could not immediately be reached for comment Thursday. The couple's two-year marriage has been fraught with public ups and downs as Winehouse battled drug abuse. Fielder-Civil was convicted of perverting the course of justice following a bar fight and was released from prison earlier this year. 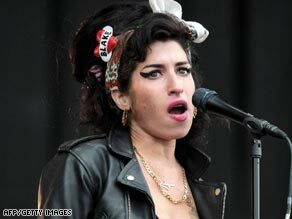 Winehouse returned to Britain last week from a six-month stay on the Caribbean island of St. Lucia. The singer is famous for her retro, soulful R&B sound and has had a string of hits including "Rehab," "Back to Black," and "Tears Dry on Their Own."